Giulio Regeni the Italian young student and researcher whose name occupied the main top headlines recently, whether in the local or international news and media. Foreign Press and media directly pointed their accusations to the Egyptian police of kidnapping, detaining, torturing and killing Regeni. 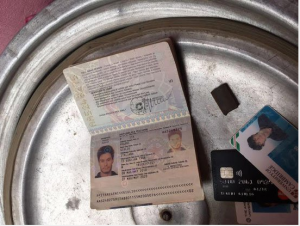 On 24 March 2016, the Egyptian police found Regeni’s belongings in an apartment belong to a leader of a criminal gang. This gang specialized in kidnapping foreigners, Egyptians and robbing them at gunpoint. This took place after the police received many reports from foreigners and Egyptians kidnapped and robbed by this gang. Following these reports, the police chased the gang and reached their location. The Regeni case is still under investigations and not over yet. Despite the revealing of this lead about the Regeni’s case, it doesn’t mean that the real killers of Regeni are going to get away with their crime, not just towards Regeni, but also towards the Egyptian people and the reputation of Egypt on the international level. We are not prosecutors or judges in order to punish those killers. But it is our national duty and the less thing we can do, is to expose these killers in front of their international public opinion, and this what I meant by punishing them. Because this specific case concerns not only the Egyptian police, but it concerns the reputation of the Egyptian people and Egypt. The real killers of Regeni is the foreign press with no exception to any of them. From the first moment of Regeni’s disappearance on the 25th of Jan 2016, and till after his body appeared in Cairo on the 4th of February 2016, foreign press addressed a direct accusation to the Egyptian police of kidnapping, detaining, torturing and killing Regeni. This direct accusation was not based on any evidence, Except the foreign press repeated claims that the Egyptian police is certainly “the usual suspect” and definitely they killed Regeni. Foreign press killed Giulio Regeni when their journalists and reporters misled the international public opinion in publishing lies and information based on illusions, and not based on any trusted source or obvious real evidences which can lead to his real killers. Foreign press killed Giulio Regeni when they deliberately directed the attention of the international public opinion, that any kidnapping or killing crime happening in Egypt to any Egyptian or foreign citizen, it is certainly committed by the Egyptian police “the usual suspect” from their own point of view. Despite that all crimes of killing or kidnapping of foreigners in Egypt, are very rare to happen comparing to any other countries and this is a fact which cannot be denied. The past crimes were criminal or terrorism and you can count them on your fingers. Foreign press pointed the accusation exclusively and immediately to the Egyptian police, without considering any other possibilities of other suspects might be involved in his death. Of course this gave the real kidnappers and killers of Giulio Regeni the feeling of safety and comfort. Because the world’s attention has been directed deliberately to the Egyptian police. By doing this, the foreign press contributed that the real killers and kidnappers of Regeni, managed to escape with their horrible crime at least for sometime. In addition to commit more kidnapping, robbing and killing other innocent people. Foreign press was not the only one who participated in killing Regeni. But also Egyptian and non Egyptian political and human rights activists, and the working groups against Egypt inside and abroad from Muslim Brotherhood and others. This happened when they gathered and went to the Italian embassies in Cairo and in some countries abroad under the claims of offering condolences for Regeni’s death. While it was not really about offering their condolences for Regeni’s death, But the truth is, they went there to perform their lousy disgusting acting to tell the world that the Egyptian police killed Giulio Regeni. 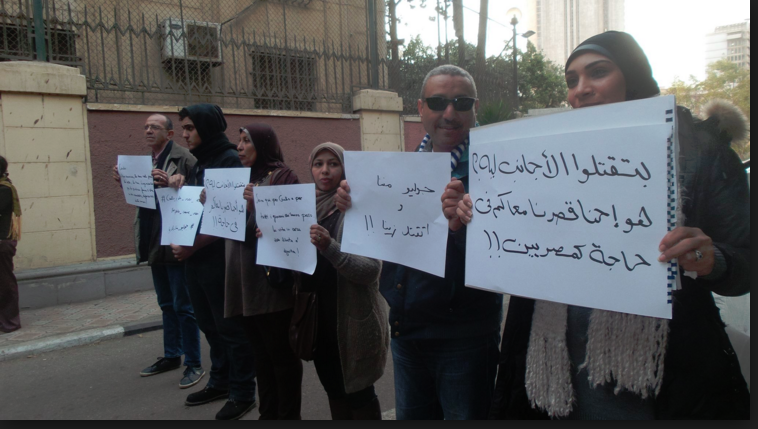 In addition, they carried signs like “don’t come to Egypt” “Why Egyptian police are killing foreigners aren’t Egyptians enough” “Egypt is not safe, police is killing foreigners”. They also published on social media and declared to local and foreign press that Egypt is not safe to visit or to live in. They published warning messages to all tourists and all investors in the world, not to come to Egypt because Egypt is kidnapping, torturing and killing foreigners and Egyptians. In addition to the issuance of a final judgement not based on a real evidence or facts, but based on certain political directions, for the purpose of stabbing Egypt with a very sharp knife right in the heart and in the spinal column, by damaging Egypt’s reputation on the economical and social international level. The evidences that foreign press based their accusations on and claimed that they have against the Egyptian police, were unknown witnesses and surveillance cameras outside some shops that Regeni passed by before his disappearance “as claimed”. In addition to foreign press claims that some security sources confessed voluntarily to some foreign press like”New York Times newspaper“, that it is the police who killed Regeni after detention and torture!!! How come we haven’t seen any of these claimed evidences? If we presume that these evidences do exist, and maybe the eyewitnesses or those who possess evidences are scared to show themselves publicly for one reason or another. Aren’t there many and different ways to publish the proof without being traced? Of course there are, but the question is where is this proof? Another question: if foreign press is so capable and powerful and surpassed the Egyptian and the Italian investigators team, and were able to get information, confessions from security sources. Beside Eyewitnesses and surveillance cameras on Regeni’s death. They also managed to determine that the killer is the police from the first moment of Regeni’s disappearance and even before his body appeared. So, How come then this power and capability didn’t show up to reveal the evidences they have in hands against the Egyptian police? 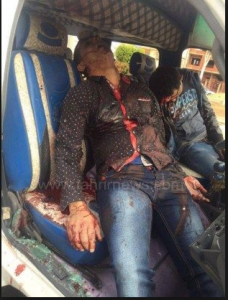 There are many Egyptian citizens killed under mysterious circumstances in foreign countries. There are also many Egyptians totally disappeared mysteriously in other countries. For instance recently in year 2015 in Italy and they did not appear till today. Despite this, the foreign press and those who call themselves “human rights defenders” just ignored it and did not accuse Italy of forced disappearance or torturing and killing Egyptian citizens, like they handled the Regeni case. There wasn’t any interest or efforts from the Italian authorities to investigate or to reveal the truth about their disappearance. For instance Adel Heikal Egyptian citizen lived and worked in Italy for 15 years, disappeared on 5/10/2015. Italy and foreign press and human rights organizations or activists, don’t really care about his disappearance. Despite that the police reached recently an important lead in Regeni’s case, and there is a big chance to know how he disappeared and got killed in Cairo, but it seems like this lead is not considered to be important enough to those who still pointing accusations to the Egyptian police as the real killers of Regeni. I’m not sure what is behind this insistence on their accusation. Whether or not there is another Agenda behind it, Especially after the threats announced in the EU statement on 9 March 2016, of putting severe sanctions on Egypt. So all these accusations are just a cover in order to destroy Egypt like they did to Iraq, Libya and Syria. Today at least after a big part of Regeni’s death mystery has been revealed and certainly will lead to something positive in his case. I can assure you that you are not going to read a piece of positive news in the foreign press about it. At least not with the same paid and directed marketing campaigns as before. But you are going to find short news without all the details announced by the ministry of interior so far, which I collected in this article as shown below. You will also be directed to doubt the new lead that is going to help in reaching Regeni’s killers. You’ll read weird terms, irony and total denial that Regeni’s death is a criminal case. They are deaf dump and blind to any lead in Regeni’s case, except to the Egyptian police that they want to declare guilty of Regeni’s death one way or another. Despite that this news is all about an Italian citizen kidnapped and killed in Egypt and it has nothing to do with politics, I again assure you that the foreign press is going to add other details witch have nothing to do of revealing a criminal case. But they are going to refresh your memory and they will tell you their favorite story before you go to sleep, which they are repeating over and over in all their editorials, and all their articles about the “bad Egypt”. Even if this story has nothing to do with the main issue of the news. This story they keep repeating is about the Egyptian army and police the oppressor arm of Al-SISI police state. Sisi the oppressor, the dictator, the killer who is drinking from his own people blood, eating children and burning plants since he was minister of defense! Sisi the leader of the coup that toppled the domesticated peaceful Muslim Brotherhood victims. As if they are describing a scary monster and not the president of Egypt. You won’t find any article about Egypt even the one talking about Giulio Regeni’s murder that won’t mention the Muslim Brotherhood. Also to remind you about the Muslim Brotherhood victims organization and the bad evil people of Egypt who dared and challenged the world on the 30th of June 2013 and ruined the US creative chaos project in the Middle East. 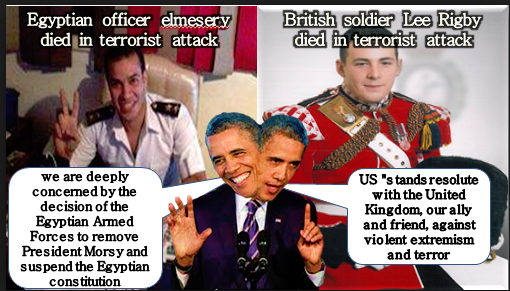 Foreign press never apologized or corrected any of their deliberate lies about certain events in Egypt. Foreign press never felt ashamed of insulting and humiliating the Egyptian people and the president of Egypt. They are publishing whatever suits their directions. This obvious bias is controlled by whoever is financing and paying their salaries. Those are the foreign journalists and reporters who live on the Egyptian territory, they are making their living in Egypt, they are eating from the same food we eat, and they are insulting us, supporting terrorism and inciting on Egypt’s destruction 24 hours a day. 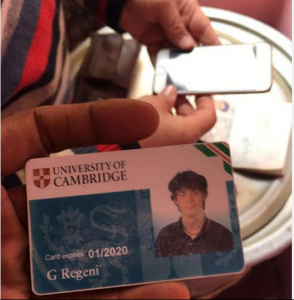 No one cares about what happened to Regeni from those who claim they care about Regeni’s human rights, which have been violated by the Egyptian police as they keep claiming. In addition to those who are using the Regeni case and trading with it inside and outside, whether on the official or the non official level. All this just to achieve certain political dirty targets. Because at the end they are all targeting to destroy Egypt deliberately. I’m not accusing the foreign press of something they didn’t do. I judge them based on what they say and not what I personally think or imagine. History always repeats itself. 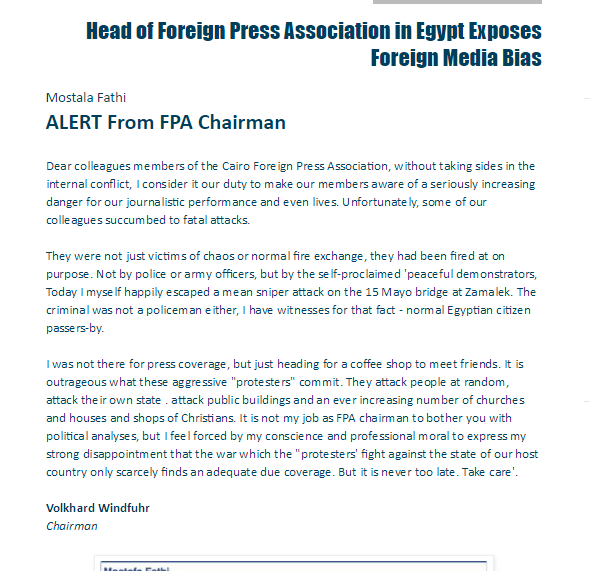 This is a statement of the head of foreign press association in Egypt, Chairman Volkhard Windfuhr exposes foreign media bias and misleading the international public opinion. What I want to prove from this statement is that if foreign press support and defend a terrorist group like the Muslim Brotherhood organization. They are blessing all their criminal and terror operations against the Egyptian people. They are claiming that MB are peaceful protesters, and they claim that the Egyptian army and police are the killers and the criminals of MB peaceful protesters. Then it is not really surprising at all, that this same foreign press is claiming that the Egyptian police killed Giulio Regeni. I’m not a journalist, I’m an Egyptian blogger and a researcher for the truth. I was all the time following the Regeni case in the news, but I did not make any comments since his disappearance till his body appeared. Except the hope that whoever killed him will be brought to justice. I didn’t write about his death because I was trying to reach the truth. It was very hard to reach any clue because there were many possibilities on his death. So, I preferred the silence till the truth will be revealed about his case. I’m one of those who believe that it is better to keep silent and not to publish any information or news about any issue, if my research for the truth reached nothing. Especially if I don’t have any documented information and from a trusted source. Because not publishing about a certain issue, is better than publishing information from non trusted or unknown sources. This of course if the goal was to reach the truth and not to mislead the public opinion. Publishing false news for the purpose of misleading and directing the public opinion to a certain direction about certain events in Egypt, in order to serve a certain agenda or policy, is tremendously dangerous. It can reach a point of starting wars between countries. In addition to destroying countries from the inside through conflicts and rumors ignition. This is what the foreign press is doing in relation to Egypt and also in relation to other certain countries. This is not a theory but a fact that we witnessed whether in the past or the present. 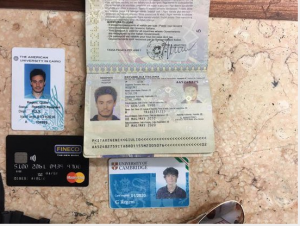 How the Egyptian police found Giulio Regeni’s belongings? 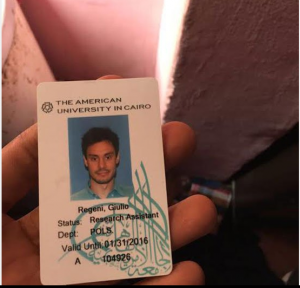 According to Youm7 Newspaper, on 24 March 2016 The Egyptian ministry of interior found Giulio Regeni’s belongings, after receiving many reports about a gang specialized in robbing, kidnapping Egyptian and foreigners at gunpoint. The victims of this gang provided the police with information that enabled them to chase and reach the gang. 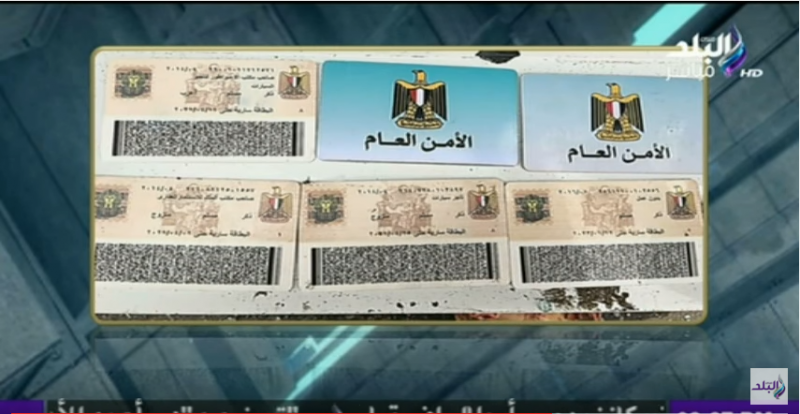 On 24 March 2016, after investigations and taking legal actions, the Egyptian police managed to specify the location of the gang in New Cairo area through police security checkpoint. While chasing them, the gang opened fire at the police and resulted the death of 4 of the gang members after exchanging fire with the police. Tarek Saad Abd El-Fatah: registered as dangerous criminal, previously accused in 24 different cases and imprisonment for 4 years. Saad Tarek Saad and Mostafa Bakr Awad: registered as dangerous criminals and were involved and accused in 20 different cases. Salah Aly Sayed: registered as dangerous criminal – accused in 11 different cases. While police were chasing the gang, they were in a microbus equipped with curtains that block out the vision. Police found a dead body with gunshot of an unknown person inside the microbus, with no identification. Police is still working on identifying the identity of the dead body. 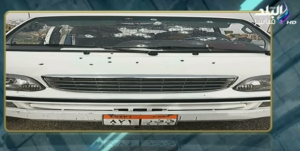 Police also found in the microbus: a machine gun 39×7,62 and 12 related bullets – a pistol 9 mm and 2 related bullets- 2 forged police identity cards – electric taser – 4 mobile phones belong to the gang members. 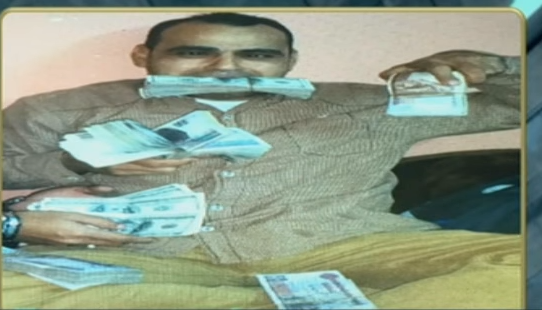 Investigations revealed that the gang members committed 9 robberies recently in Nasr city and new Cairo areas. Investigations confirmed that the first accused was frequently going to his sister’s residence in different timing. 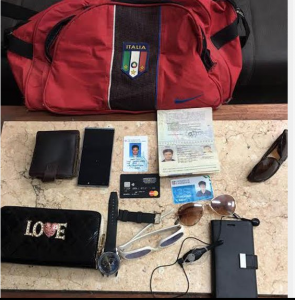 After taking legal procedures, police searched her apartment and found a red bag with Giulio Regeni belongings inside it (passport, University card visa card, 2 mobiles and other personal stuff). According to Youm7 newspaper, The sister of the first accused told the police that she knew about her brother’s gang activity in robberies and the stuff found by the police in her apartment are the outcome of the gang activity. When the police asked her about the red bag and the belongings of Giulio Regeni found in her place, she said that the only thing she knows about that bag and what’s in it, is that her brother told her to keep it for him. She also mentioned that when she asked her brother about the stuff in the bag, he told her that it was his share from one of his operations. She also said that despite that she knew about her brother’s activity and he was just keeping his share from these robberies operation in her place, but she doesn’t know any Regeni or what is this Giulio Regeni case, she doesn’t follow any news and she even didn’t know that this bag or belongings concerns this Italian Regeni. The wife of the first accused told the police that the red bag found in her sister in law apartment belong to her husband and she doesn’t know about that bag except that her husband had it on 23 March 2016 while he was at home. The prosecutor decided to imprison the relatives of the first accused and addressed the charges of cover up and hiding a criminal from justice. In addition to the charges of keeping thefts outcome with their knowledge of his criminal activity. The prosecutor requested the detectives investigations about the incident and to join the investigations to the Regeni’s case investigations. 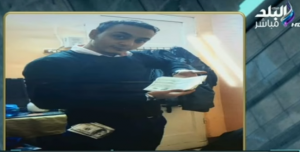 On 26 March 2016, Ahmed Mussa the presenter and talk show host of “on my responsibility” program introduced some photos and videos, in addition to further information about the gang and their relation to the Regeni’s case. Mussa clarified that what has been said lately about the Egyptian ministry of interior caught Regeni’s killers, is absolutely not true. He confirmed that all the ministry’s official statements didn’t mention these claims and the ministry is not responsible for any unofficial statements in this regard. He also mentioned that the ministry of interior is still working on solving the case of Regeni’s death and they are informing the Italian side with all the updates. Mussa told that the day this gang was located by the police, they were just 200 meter away from Saad William Labib’s residence. An Italian Egyptian citizen lives in a villa in New Cairo area. 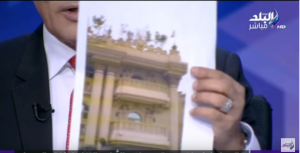 Mussa showed an image of the villa with Italian and Egyptian flags on the roof. 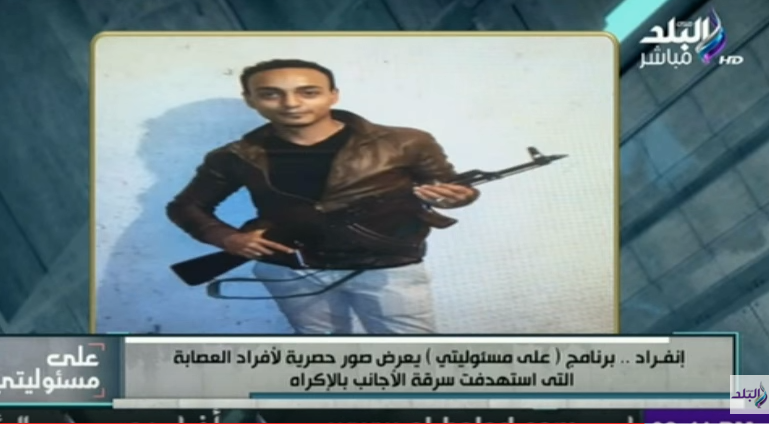 Sada Al-Balad channel displayed the following video of the gang in one of their robbery’s operations. The victim’s name David K., he is Italian living in Cairo. The gang robed him 10,000 $. It shows how the gang stopped their victim by claiming that they were police officers and showed him forged police identities, in order to trick him to go to the microbus they were using in their robberies. The content of this video was filmed by streets surveillance cameras in road 90 New Cairo area. The video starts from the minute 1:46 to 4:53 – This robbery took place on 15 February 2016. The gang stopped the microbus and waited for their victim. Two of the gangs members were walking back and forth in the street. Then one of them moved towards the targeted victim, and tricked him to go the microbus by showing forged police identities. Sada El-Balad channel also displayed two videos of victims testimonies about how they were robbed by the gang and what happened to them. David K. Italian citizen, His testimony starts from the minute 0:24. David said that on 15/2/2016, at 7:45 in the morning in Road 90 new Cairo area, 5 individuals stopped him and they were driving a microbus. 2 of them showed him police identities and said that they are policemen investigating a murder of one of their colleagues killed in the same area. They told David that they wanted him to go with them to ask him some questions about this incident. David mentioned that he had to go with them because he was too scared, especially that he was aware of what happened to Giulio Regeni and he followed the news about his death. He added that he had no choices in a situation like this, especially that they pointed to the microbus and told him where they wanted him to sit inside it. It was clear to David as he said, that from what they were saying and did, he was forced to just do whatever they wanted from him. After they took him to the microbus, they kept driving for more than an hour. They were asking him many questions like maybe he is financing the Muslim Brotherhood terror operations in Egypt with a lot of money that he has. This is only part of his testimony as it was displayed in the video. Another video displaying other foreigners and Egyptian victims testimonies telling how they were kidnapped and robbed. It’s only a very small part of their testimonies. 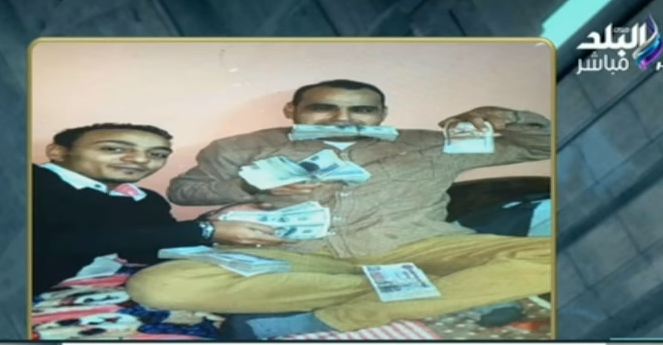 Mostafa Bakr Awad and Salah Aly Sayed committed robberies against foreigners and Egyptians in Egypt – money they collected from robberies with different currencies. 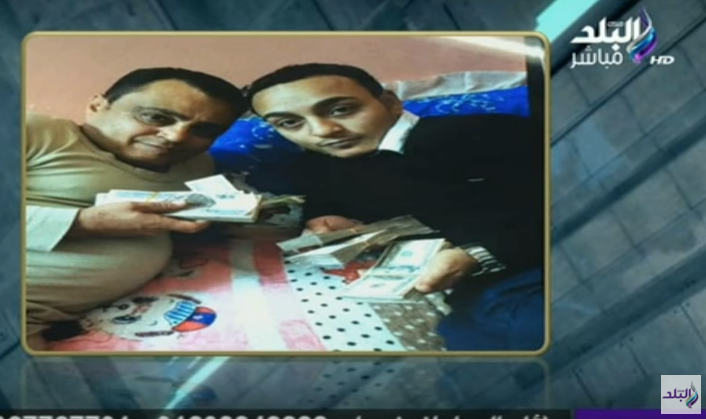 Gang members: Tarek Saad Abd El-Fatah and his son Saad Tarek Saad – Money they collected from their robberies. They actually tortured Regeni all the time and they are killing him daily by misleading the international public opinion for certain purposes that they know very well.